LOS ANGELES, Nov. 9, 2018 /PRNewswire/ -- Artificial intelligence, blockchain, gene editing… who are the changemakers behind some of the world's most exciting emerging technologies? "Beyond Innovation" will deliver the answers with an insider's perspective only possible from those on the front lines. The new series pairs a leading venture capitalist and entrepreneur with an expert technology journalist for an international tech lover's tour of disruption at its finest. "Beyond Innovation" is independently produced by Globalive Media and will make its world premiere on Bloomberg Television (Bloomberg TV) this Saturday, November 10. 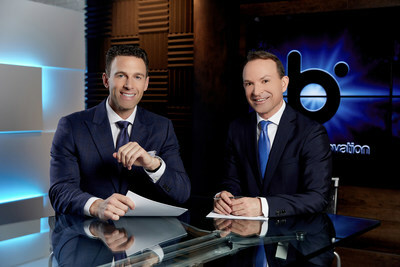 The program will air on the financial news channel Saturdays at 5 p.m. New York, 10 p.m. London and Sunday 2 p.m. Hong Kong. Watch the promo HERE.